Alleviate pain, correct your foot function, and stay active on your feet, for life. 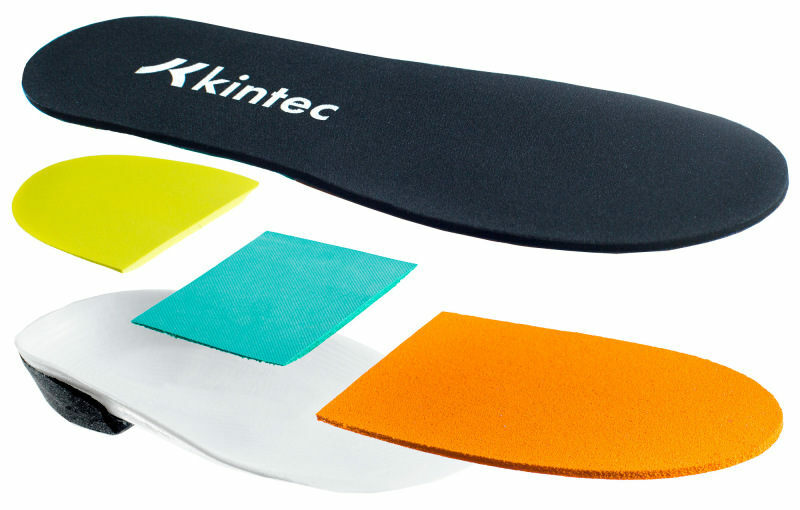 All Kintec locations have Canadian Certified Pedorthists with extensive training in the assessment, design, and manufacturing of custom orthotics. Our fitting process starts by understanding your lifestyle. Next, we use a biomechanical assessment and video gait analysis to better understand how the mechanics in your feet are affecting the alignment in your legs and the rest of your body. Using the latest in 3D laser scanning technology, we have developed proprietary software which allows us to capture the most accurate 3D model of your feet. Our technicians then input those digital scans into our CAD/CAM software and our team creates your custom orthotics in-house. By combining raw materials with different cushioning and energy return rates we can incorporate over 20,000 mechanical characteristics into your orthotics. Our team of Kinesiologists and Canadian Board Certified Pedorthists will create orthotics that are individually tailored to your feet and body mechanics. As times goes by, your lifestyle may change, and so can your footcare needs. Our orthotics are designed to be serviceable and customizable to meet your ever evolving needs. If your orthotics do not improve your overall comfort, we will work with you and your referring medical professional to find a solution or your money back. We offer an industry-exclusive one year period of free adjustments for your custom orthotics to ensure you get the best fit possible. After your one year free adjustments period expires, we offer orthotic re-assessments for life to ensure that your orthotics are still performing as they were designed for your body.